Russian group "Ubuntu Linux" (~28600 members) in social network VKontakte. 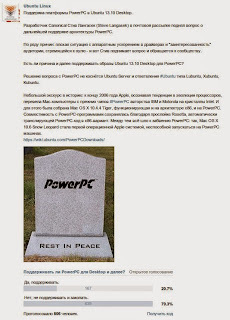 639 votes (79.3%) - images PowerPC for Ubuntu are not needed anymore. 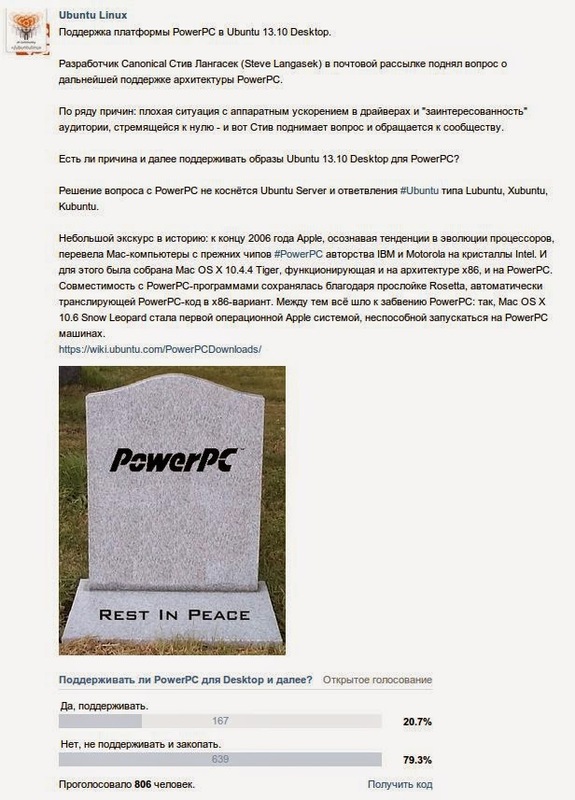 167 votes (20.7%) - images PowerPC for Ubuntu are not needed. Developers, thx for your jobs.